Not only does Qatar have dirty hands, they're simultaneously sticking them in all regional pies. It was only a matter of time before their neighbors caught on. That escalated quickly. In a region where inter-Arab politics is frequently described as a zero-sum game, Qatar suddenly finds itself on the outside looking in. Recent analysis has tended to overfocus on the proverbial straw that broke the camel's back, but a closer look reveals that the camel has suffered from chronic illness for years. It was only a matter of time before its health became critical. Although many countries have joined in isolating the oil-rich monarchy, Saudi Arabia, Bahrain, the United Arab Emirates (UAE), and Egypt have spearheaded the effort. The question is: What is it about Qatar's pursuit of its own interests that makes it different from any of its neighbors? Are those singling out Qatar for its poor behavior guilty of being hypocrites? In the Middle East, no nation has clean hands. Most utilize proxies to meddle in others' internal affairs. What's unique about Qatar is that it has fanned the flames of unrest on all sides of the inter-Sunni and inter-Arab conflicts while promoting warmer relations with their primary nemesis: Iran. In other words, not only does Qatar have dirty hands, they're simultaneously sticking them in all regional pies. It was only a matter of time before their neighbors caught on. The change in foreign policy direction dates back to 1995, when the former emir was overthrown by his son. Since then, Qatar has grown far more adventurous and duplicitous. One example from outside the Arab state system is Qatar's approach to Israel. On one hand they've appeared to court closer relations with the Jewish state, while on the other they provide more support for Hamas than does any other nation. They savagely attacked the 2002 Saudi peace plan over its state-funded Al Jazeera news network. It came in the midst of the Palestinian-Israeli war of attrition launched by Yasser Arafat in the fall of 2000, when most of the Arab world hoped to find a way to deescalate the situation. Enraged by Qatar's vocal opposition, Saudi Arabia recalled its ambassador that September. This isn't to say that the other regional powers are in love with Israel and Qatar stands as the primary roadblock to peace. The issue is that at key moments when the Arab world sought to lessen the destructive heat emanating from the smoldering Palestinian-Israeli fire, Qatar has been there to fan the flames instead. Being out of step with the rest of the region has since become a signature of Qatar's foreign policy. When it comes to the Sunni-Shia or Arab-Persian dimension of the conflict, Qatar would argue that it makes sense to play middle. By sashaying up to Iran, they are hedging their bets in the belief that the Arab world will fail to stand up to the Shia power as it expands its regional influence and pursues nuclear weapons. They figure it's better to be Iran's conduit acting as their Arab ambassador to the Sunni world rather than a frontline enemy state staring at them from across the narrow Gulf. In 2008, Doha served as the destination for talks aimed at avoiding more bloodshed in Lebanon. The crisis came when Hezbollah turned its weapons against the Lebanese after having promised that their arms were solely for confronting Israel. When the Iranian proxy went to war with Israel in the summer of 2006, many in the Gulf hoped Israel would crush the Iranian-created terrorist proxy in Lebanon. Not Qatar. Washington foolishly supported the deal worked out at Doha that prevented further domestic bloodshed in Lebanon in the short term by boosting Hezbollah's domestic position, but also essentially granted them political veto power. It paved the path towards their eventual takeover of Lebanon. Today, the distinction between Hezbollah and the Lebanese state has grown evermore meaningless. Then there's the case of a $1 billion hostage payment Qatar made in April for the release of royal family members kidnapped in Iraq while on a hunting trip. The money not only secured the release of 26 members of a Qatari falconry party but also 50 Islamist militants belonging to an al-Qaeda affiliate captured in Syria. Although the move was choreographed to appear innocuous, the Gulf States could smell something fishy. The Financial Times reported, "Around $700m was paid both to Iranian figures and the regional Shia militias they support, according to regional government officials. They added that $200m to $300m went to Islamist groups in Syria, most of that to Tahir al-Sham, a group with links to al-Qaeda." It all looked like a set-up by Qatar, sparking the most recent war of words over competing Arab news networks. If crossing religious lines wasn't enough to inspire the ire of their neighbors, Qatar's subversive behavior against fellow Arab and Sunni majority countries was. After Muammar Gaddafi was removed from power in Libya in 2011, official documents revealed that Qatar's emir supported Saudi opposition members and hoped to overthrow the Saudi royal family. Although Saudi Arabia didn't react at the time, memories—both real and imagined—are long-lasting in the Middle East. The Arab awakening in 2011 only served to intensify Qatar's duplicitous actions. While most of the leaders in the Arab world grew to fear the so-called "Arab spring" sweeping through the region—especially what it meant for the security of their rule—Qatar cheered against the regimes, and intensified its love affair with the Muslim Brotherhood, eventually bringing relations with Egypt to a head. Backing Mohamed Morsi, a Brotherhood member, in Egypt didn't earn Qatar many friends. Gulf states including Saudi Arabia, Bahrain, and the UAE pulled their ambassadors in March 2014. Diplomatic relations were only resumed eight months later when Qatar finally cracked down on the Muslim Brotherhood—but they remained the open host and prideful backer of Hamas, its terrorist cousin. Today, it serves as the external headquarters for Hamas and provides more cash than any other country to the terrorist organization. It would be one thing if in the inter-Sunni dispute, Qatar only chose the Muslim Brotherhood and Hamas brand of ideology to support as a proxy. But it didn't stop there. The emirate also supports al-Qaeda affiliates such as the al Nusra Front and Ahrar al-Sham, along with the Taliban. The Islamist tint seen in Syria's civil war would not have been so vibrant and destructive without Qatar's contradictory support for multiple terrorist elements. These policies don't represent a changing trend but a continuation and linear evolution of the same destructive course. One member of Qatar's royal family ran a safe house for Abu Musab al-Zarqawi, the founder of al-Qaeda in Iraq (AQI) and predecessor to the Islamic State, with the Emir Abdul Karim al-Thani dolling out Qatari passports and $1 million to finance AQI activities. That put Qatar at odds not only with the United States and much of the Arab world but with Iran as well. Zarqawi was killed in 2006; Qatar was already dancing with multiple partners at the ball. 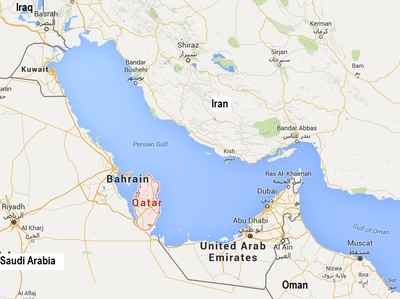 The 2014 crisis was the last major regional pushback against Qatar. This recent conflagration, however, goes much further. Land and sea blockades weren't used as punitive measures against the emirate in 2014 and could incur lasting damage, politically, economically, and diplomatically. Several factors have allowed the small emirate to punch far above its diplomatic weight internationally and give it the freedom to cause other regional powers heartburn. Qatar has a religiously homogenous citizenry, unparalleled wealth, and, situated as a peninsula, it shares only one land border. It is the richest country in the world, with the average household making a shade under $240,000 per year. Qatar also has the largest percentage of non-nationals in the world. Only some 200,000 people are considered citizens, despite a 2016 census that claims a population of 2,675,522. That means only around 10 percent of those living in Qatar are citizens, and they can put their money to work in a multitude of ways. Judging by a quick search on Google, there is a steep learning curve when it comes to public knowledge of Qatar. 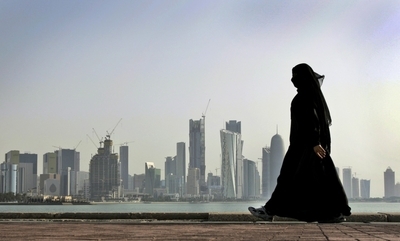 Qatar's citizens are also overwhelmingly (90 percent) Sunni, the majority of which are adherents to the Salafi and Wahabi interpretation of Islam. Its only neighbor by land, Saudi Arabia, is the birthplace of Wahabism. Egypt, by way of comparison, is also 90 percent Sunni but also the most populous Arab state, with a population of 93 million that utterly lacks the wealth and oil and gas resources of the Gulf nation. Since its independence, Egypt has paid a steep price for its bellicose postures. Fifty years ago, it managed to talk itself and others into war against Israel, which cost it and those involved dearly in lost territory and prestige. Egypt's eventual pragmatism was a result of lessons learned the hard way and ultimately led it to finally make peace with its longtime enemy. Meanwhile, the internal challenges brought by the Muslim Brotherhood made the group outlaws in the movement's own birthplace. Qatar has no such restraints and faced no such costs. Factors that affected decision-making in Cairo were not considerations in Qatar. There is little fear of a public backlash for funding terrorist groups that share the same religious philosophy along the lines of al-Qaeda. The Muslim Brotherhood presented no domestic challenge—they were allies. So far Qatar has paid no price too steep for agitating from afar and served as no frontline in a modern war. Its territory remains intact, surrounded by the moat known as the Persian Gulf. The stakes are high in resolving the Gulf crisis. While the Trump administration initially navigated the situation well, in the days that followed Secretary of State Rex Tillerson has emerged as the voice prematurely calling for a de-escalation. It is in America's interest to see the situation peacefully resolved, especially with Qatar hosting more than 10,000 U.S. troops in addition to the all-important Al Udeid airbase from which the United States coordinates air operations in Syria and Iraq. Some argue the base gives Qatar leverage over the United States, but it works both ways. They feel free to act as they do knowing that the United States will protect its own assets. 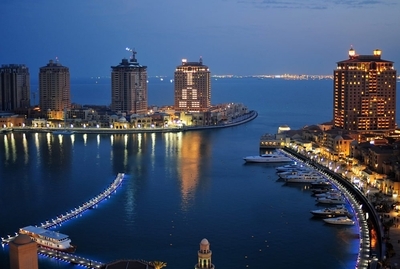 With a base on their soil, Qatar believes they are an asset. The United States should look toward relocating its airbase to a regional ally with a longer and more helpful track record. The UAE has made such overtures for years. Even the formation of a group tasked to explore alternatives to Qatar would send an important message. However, as former defense secretary, Bob Gates, recently pointed out, "transitioning away from there would be expensive and it would be very complicated operationally" and it would "run the risk that the Qatari government basically says 'OK, then why don't you just get the hell out altogether?'" Clearly, such considerations must be taken into account. Nevertheless, it seems to be the sort of negotiating challenge President Trump has been keen to tackle in pursuit of a deal. The United States has an interest in bringing Qatar into the new regional alliance that has been quietly forming in recent years. The more durable those partnerships are, the easier it will be for Qatar to stop hedging its bets and appeasing Iran—if that is what they choose. After all, in this dust-up, there is Qatar, Turkey, and Iran on one side, and everyone else on the other. It will be exceedingly difficult for that axis to endure. The United States and its allies should provide a stark choice where the carrots are sufficiently enticing and the sticks adequately tough. In this case, getting it right is better than getting it fast.